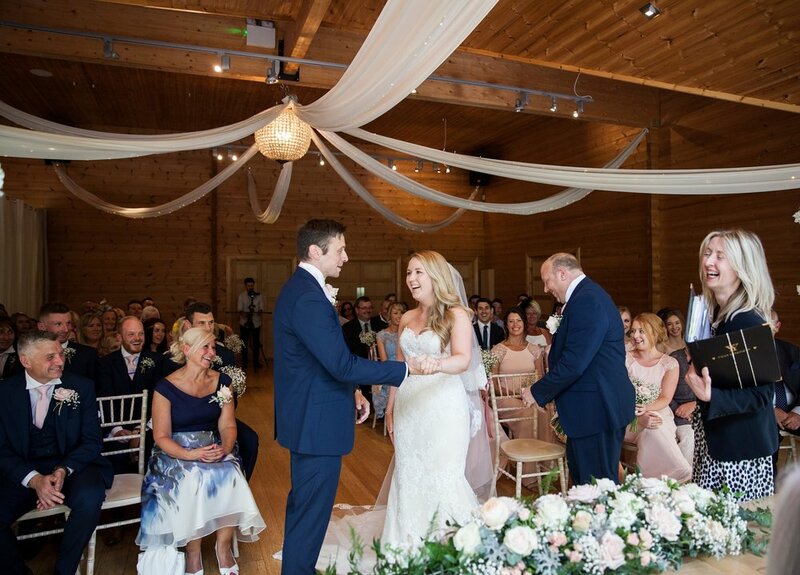 Maybe you are just starting your search for the perfect staffordshire wedding venue, maybe this blog post will help you out a little with that! Over the past ten years I have been very fortunate to be able to experience and work at some of the region's top wedding venues. I decided to do a little round up in this blog post of my top ten wedding venue's within my 100 mile radius of Lichfield. I cannot say that one venue is better than the other, they all have some amazing attributes, attentive and helpful staff and wedding co-ordinators as well as stunning grounds and buildings and from some of the menu's I have sampled, they cater extremely well for their wedding guests and as I know that food is generally very important to most of my clients, I feel the food alone is worth a mention! I haven't put these wedding venues in order of my favourites, I have used distance from my home, starting with the nearest, as this seems the fairest way to share them, they are all fabulous and all are venues that I am looking forward to working at again! I find Packington to be a rather versatile venue, there are lots of stunning locations to have portraits and even though it is a very grand venue, it feels intimate at the same time. I may be a little bit biased about Moor Hall Hotel and Spa as it is where my husband and I were married in 2007. We loved the large conservatory, which we felt would be a lovely communal space should the weather be against us and the sunken garden is a hidden treasure! As we had lots of family and friends travelling from a far, there is plenty of onsite accommodation, this was really important to us when choosing our wedding venue. On both occasions the weather was fairly extreme at times with heavy rain, however this venue is equipped to accommodate your guests should the weather be not what you ordered or had planned for you wedding day. One thing I would say is the weather does not have to spoil the best day of your life, it really is a minor detail! I would say this is a super alternative to a barn venue, if your style is a bit more 'Country House Wedding' or 'English Country Garden' - The venue and buildings itself are very grand, light and airy and again I feel that although the venue is tremendous and grand, it still has an intimate homely feel about it. Looking forward to being back there in June and July! I do love to shout about my love of The Ashes Barns, so I am not going to deny that I am a little bit in love with this place. Since photographing my first wedding there in 2008 I have revisited many, many times and it always amazes me that one venue can look so different at different times of year. The mature gardens take you on a journey through all of the seasons, depending on which flowers are in bloom. I blogged about Harry and Hannah's wedding at The Ashes Barns which can be found here and also Francesca and John's colourful summer wedding which can be found here. I am super excited to be back here again soon! This exclusive and luxury retreat is available to hire for a number of days, so you can take up residence in the lead up to your wedding day and enjoy a few days of wedding celebrations. The scenery around the venue is just breathtaking and it's an intimate and inviting environment. Mel and Jon were married at a nearby church an held their wedding reception at Upper House, it was beautiful and you can read more here. Last year I was very thankful to Boho weddings for featuring one of my weddings at Quarry Bank Mill, Julia and Jon submitted their wedding to the blog and it was accepted, I love proactive couples! this venue is beautiful, it's a little bit different but I love the combination or rustic/rural with industrial buildings, which form part of our industrial english heritage. I was blown away by how gorgeous this barn venue is and I am looking forward to photographing my first wedding there in March next year. If you are interested in learning more about my wedding photography collections, please contact me and I will be happy to send you my current wedding photography brochure. I also offer weekday photography collections and shorter coverage for couples who would like something a little more low key, but do not want to compromise on having a photographer there to capture their day.